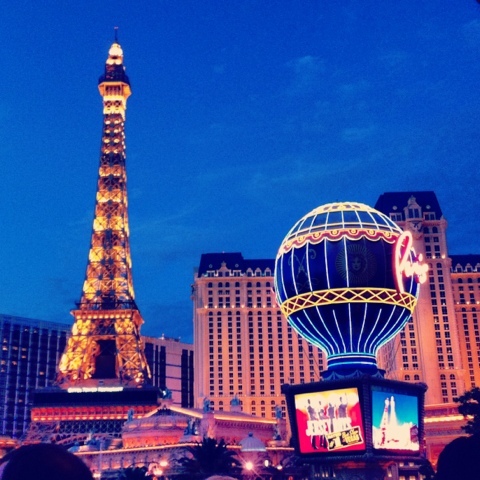 Last weekend we went up to viva Las Vegas as a mini vacation. 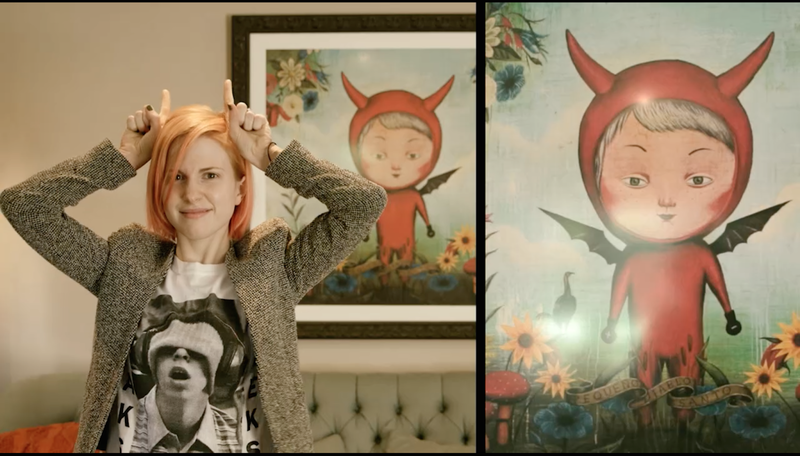 It was really neat to check out all the different hotels with their high ceilings and interesting themes. Where else can you visit Paris, New York, and ancient Rome all at the same time? 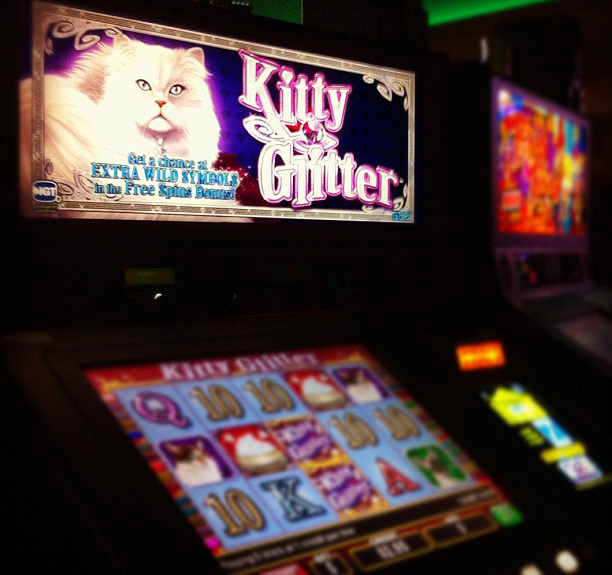 Vegas, baby! 2. The Bellagio has some really whimsical decorations. 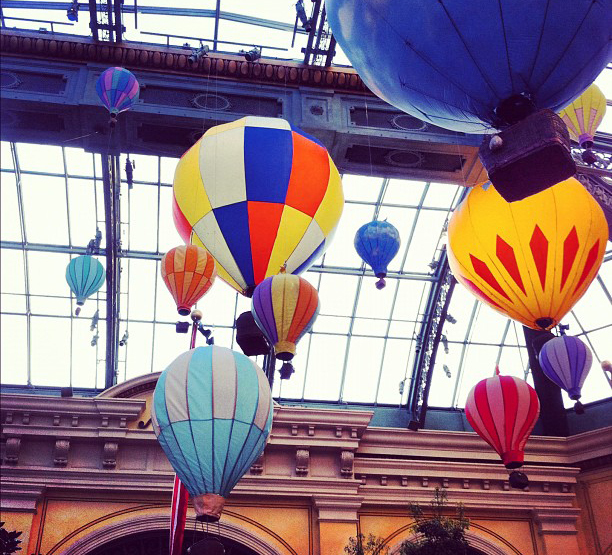 The garden room has these cute hot air balloons hanging from the ceiling. 3. 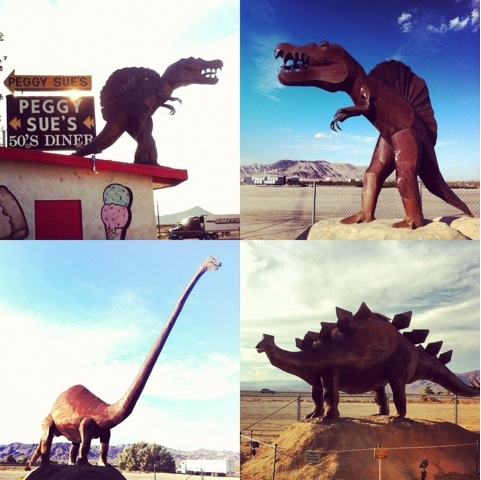 On our way to Vegas we stopped by Peggy Sue's 50's Diner which also happened to have a dinosaur park in the back. 4. 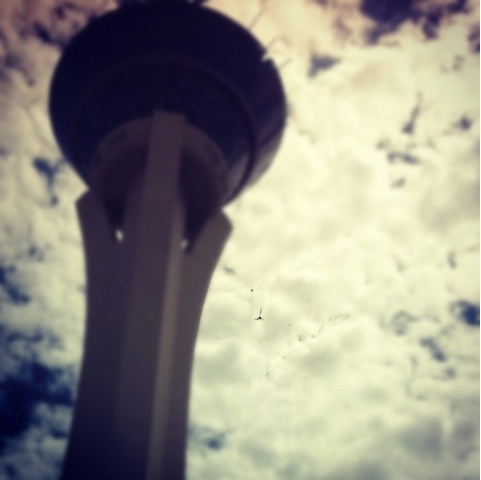 We had a view of people jumping off the Stratosphere's tower doing the Sky Jump. 5. City lights are always a treat and Vegas is known for all of their neon signs that light up the night. >> all photos by Lisa Ahn; please don't use without permission, thank you!